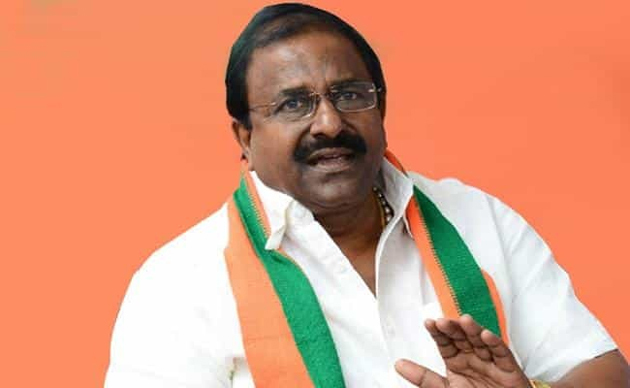 In Today's press conference, BJP Leader Somu Veerraju showed a paper cutting in which CM Chandrababu Naidu issued a statement in 2017 - 'Manam Ekkuve Sadincham. Whether any other state in the country received more benefits from centre than Andhra Pradesh? Opposition can prove if they are capable of doing so. We received everything on par with Special Status'. Then, The MLC showed another paper cutting of the pro-TDP media in which Union Minister Sujana Chowdhury told Centre has offered everything and we can't ask anything more than it. This statement was issued in 2018 itself. Mr. Veerraju claimed these paper cuttings are the replies of BJP for the allegations made by TDP all of a sudden. He went on to say AP Reorganization Act was introduced in 2013 and Centre have to implement all those provisions by 2022. 'Centre sanctioned 16 Institutions so far, 8 more than what's mentioned in the Act. Even Minister Ganta thanked the Union Government for it. Never been before 400 seats were sanctioned for NIT. 24*7 Power Supply has been provided. Centre allotted Rs 1500 crore and Venkaiah offered Rs 1000 crore for AP Capital construction. While AP Government demands Centre to compensate revenue deficit of Rs 16,000 crore, Panel appointed by Centre reached a conclusion that deficit is just Rs 4,600 crore. Even Farm Loan Waiver and few Welfare Schemes were included in these Rs 16,000 crore revenue deficit. Centre hadn't offered farm loan waiver for any state in the country including UP. Does TDP Government have any specific plan to distribute Special Package funds equally among all regions in AP? No investor is going back just because of lack of Special Status. Summits have been organized, Industries are being established and Employment opportunities are created,' he assured. Supported Note Ban & GST, Still We're Let Down!